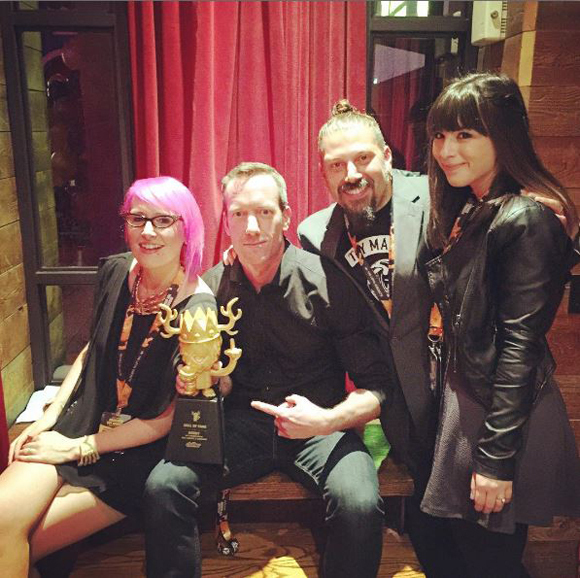 Did you know that we won a “Hall of Fame” award at this year’s Designer Toy Awards for our favorite platform the Dunny? 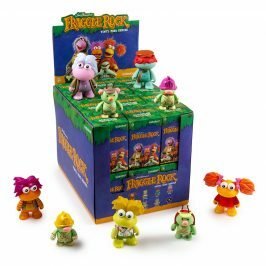 We thought it would be nice to take a stroll down memory lane with the little fella we know and love that has produced hundreds and hundreds of amazing designers! We picked some of our favorite designs to showcase this badboy! 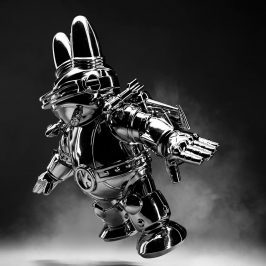 Created by Paul Budnitz and Tristan Eaton in 2004, the “Dunny” is based on a rabbit with defined tubular ears and a standard body form. 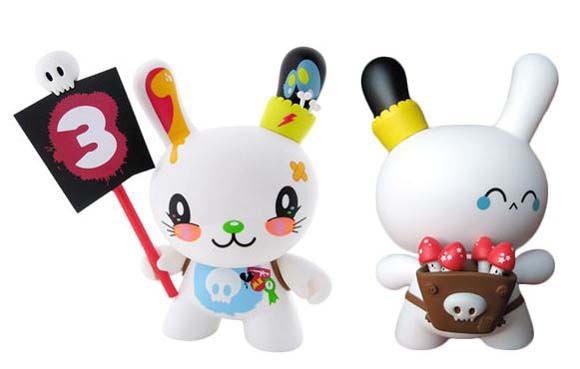 The name comes from the combination of devil and bunny giving us, Dunny. When handed off to artists as a platform to create, this devil bunny is transformed into an endless canvas. Enough of a history lesson because this post isn’t one and we have designer toys to look at! 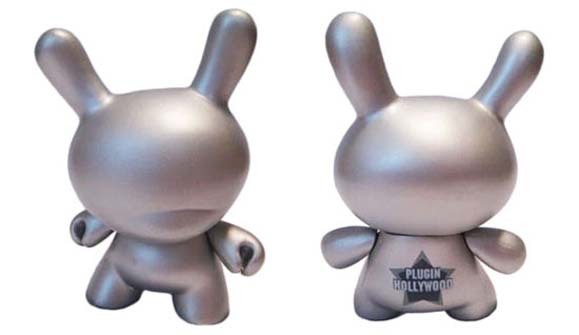 One of the first three Dunnys ever created was the “Plugin Hollywood” given away at the 2004 Hong Kong Toycon. These 3 inch freebies came in silver, red, and black with an undisclosed correct amount made. 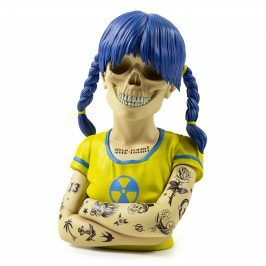 We can say that the production numbers were very low and has become one of the most sought after pieces for collections ever. 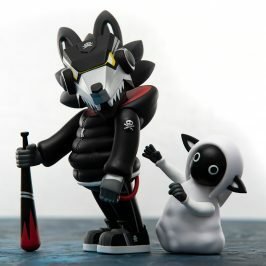 The first 3 inch blindbox Dunny series was so properly named Series 1, and featured the amazing breakthrough designs of talents like Frank Kozik, Superdeux, Sket One, Tristan Eaton, and more. 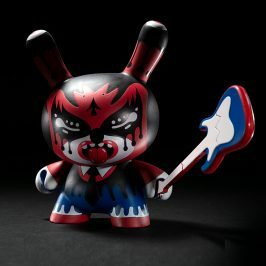 Shane Jessup’s Series 1 Dunny sure was a beauty! 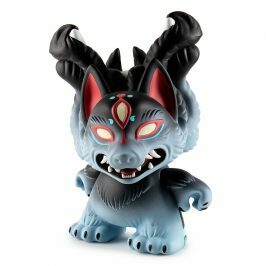 The Dunny quickly made a jump to a larger 8 inch size with Tristan Eaton’s “Voodoo Dunny” design. Here we see the Swamp Edition that still makes us drool just looking at it. A pure classic in the vinyl world! It was just a matter of time before a single artist got a series and David Horvath did just that. 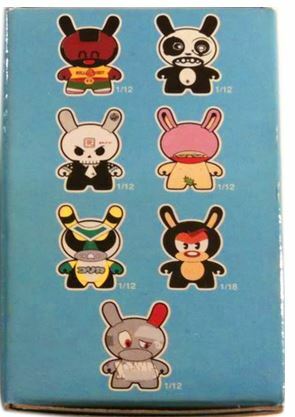 He first started out as a 5 pack of two faced Dunnys, and then got a full series of the same nomenclature. Spider Boom by his wife Sun-Min Kim is shown above! 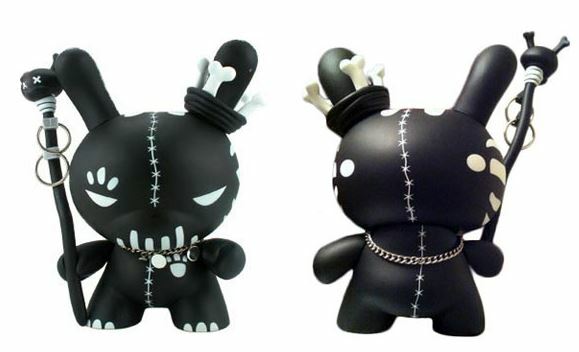 Dunny Series 2 was a blindbox free for all that had more artists, more accessories, and an even bigger chase! I dare say that there was also a perk of 6 handpainted Dunnys mixed into the blind boxes, but to this day, none have ever surfaced! Series 3 brought about the first mention of a “Golden Ticket” prize. 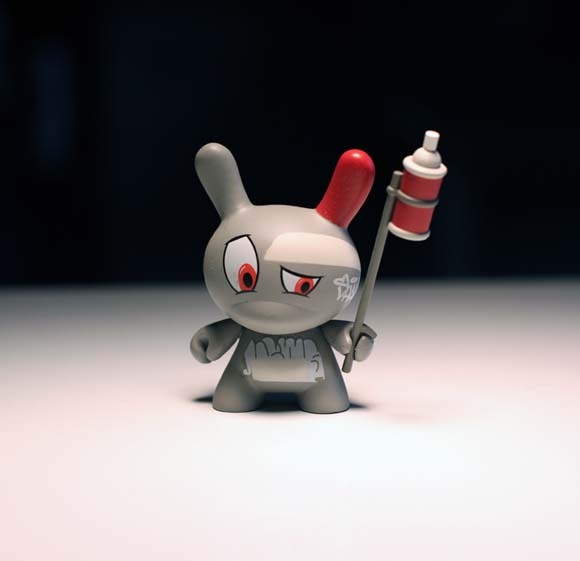 this was a random ticket hidden in 400 blindboxes that was redeemable for an epic free 8″ Parsley the Love Dunny by Tado! The golden ticket was as highly coveted here as it was for that chocolate factory! This sounds like a good place to stop since I am still sore about not ever getting that goldent ticket! See you soon when we continue our small tour and history of the Dunny!